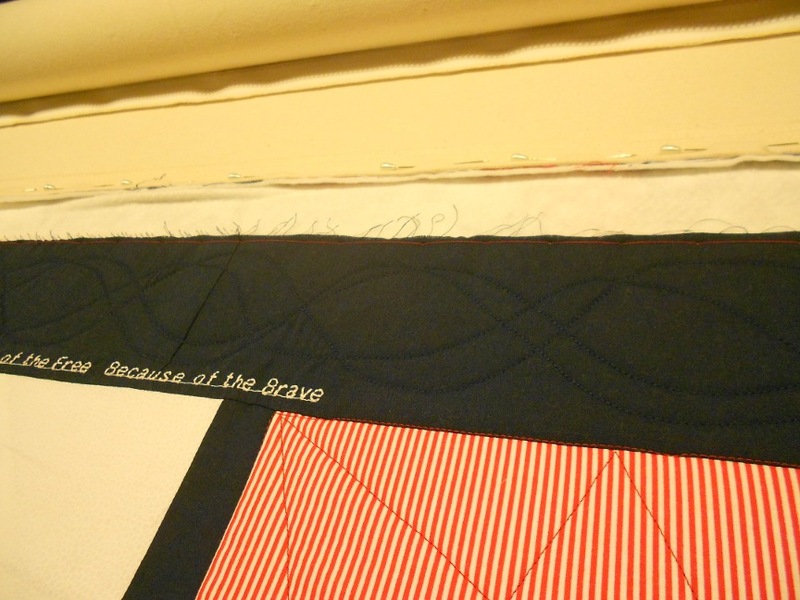 I finished a Quilt of Valor, pieced with some of the Moda Stars*. I enjoy putting sine waves in the borders, so I tried to interlock two of them, like a strand of DNA. I quilted these free-hand, with no marking, so they are a bit uneven. In this section, I lost track of my parallel lines, and ended up crossing the stitching lines, which gives an effect of twisting ribbon. I found a mantra that helped me keep things lines up…deep right or deep left. That helped me think about where the outer wave was going, and I could come back and stitch the inside wave. Once I used the mantra, it was much easier to finish the design. About the Moda Stars – in Spring 2011, the Moda fabric company published a pattern for a star block and asked quilters to send blocks to them, which Moda staff would piece into quilt tops for our returning soldiers. They were hoping for maybe 1,000 blocks…and ended up with 10 times that amount! So the call went out for volunteers from each state to take the extra blocks and make quilts for the Quilts of Valor Foundation. In July, I received the 200 stars for Arizona. With the help of other quilters, I have about half the quilts made. 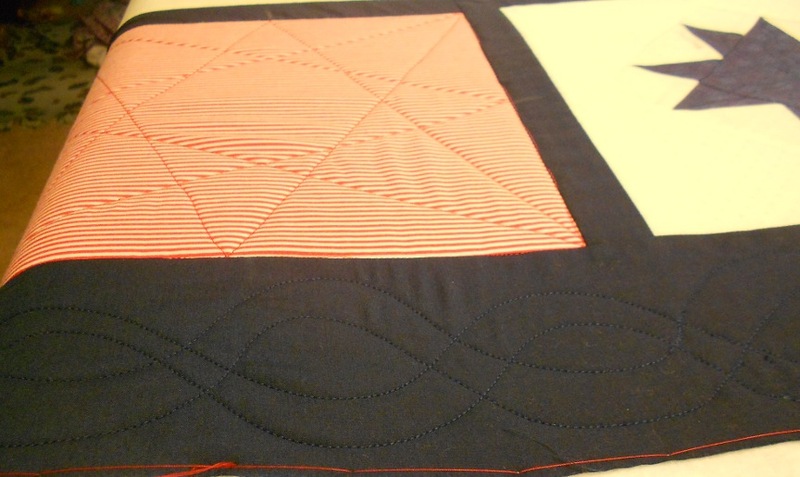 QOV will be the primary focus of my quilting in 2012.